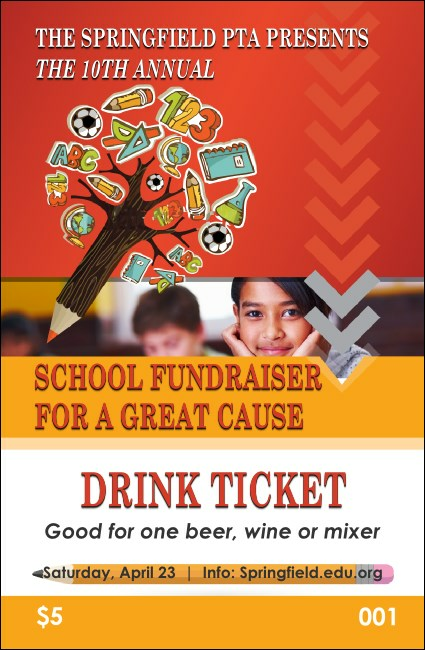 Close the book on keeping your guests entertained when you give them Fundraiser For Education Drink Tickets at your next charity event. These fine tickets feature a friendly red and yellow background with a miniature tree filled with school supplies alongside a couple of studious school children. Ace the test with TicketPrinting.com.